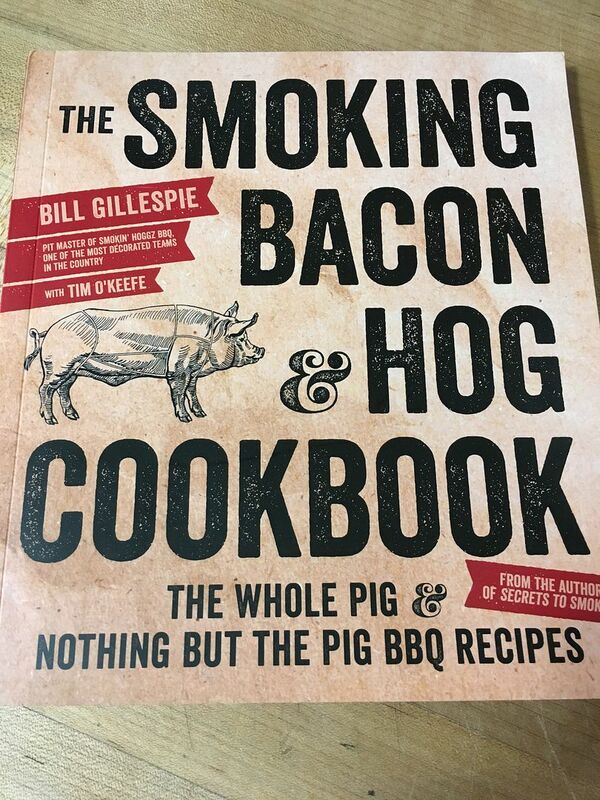 A month or so ago, the fine folks over at Page Street Publishing Co. sent me a copy of The Smoking Bacon & Hog Cookbook by Bill Gillespie. Bill and his team Smokin' Hoggz BBQ, which also includes his wife Shaune and their friend Alan, are an accomplished competition BBQ team. Over the years, they have won many competitions at both the regional and national level. Signature wins include the American Royal Invitational and the Jack Daniels World Championship. I have known Bill for about five years now. We cross paths with him a few times a year on the KCBS competition trail. He is a class act and knows how to BBQ. If I had any problem with him, it is that he is a Patriots fan. But, nobody can be perfect, right? The sub title of the book states, "The Whole Pig & Nothing but the Pig BBQ Recipes." After reading the table of contents, I think the only thing Bill hasn't covered is the Oink. Recipes range from how to cook a whole hog, how to cure and smoke bacon plus numerous recipes that you can use with your bacon, how to make homemade sausage, and how to prepare and either smoke or grill ribs, chops, loins, hams, etc... 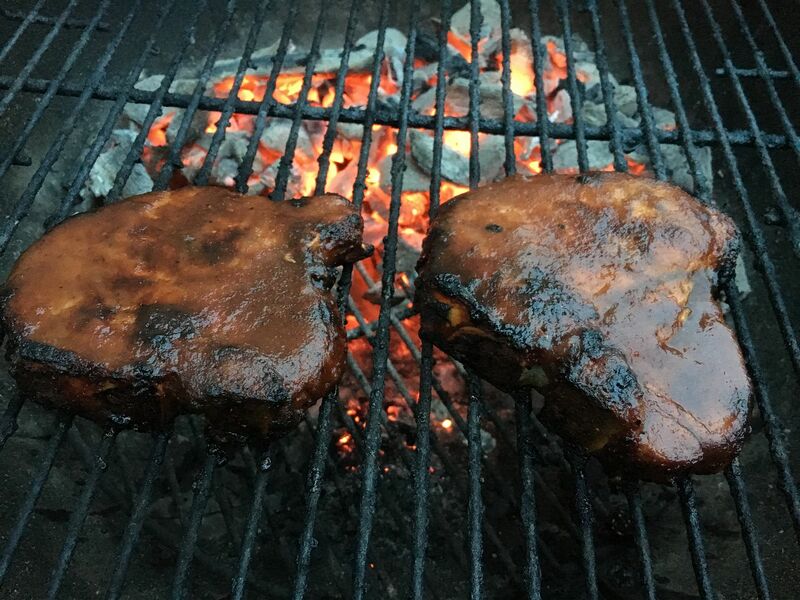 He even covers sauces, rubs, various types of hog breeds, smokers, and wood chip selection for any flavor you might be looking for in your smoked hog. He's got you covered for sure. In a bowl, combine your first two wet ingredients and 1 tbsp of the rub, mix well, and set off to the side for use later. 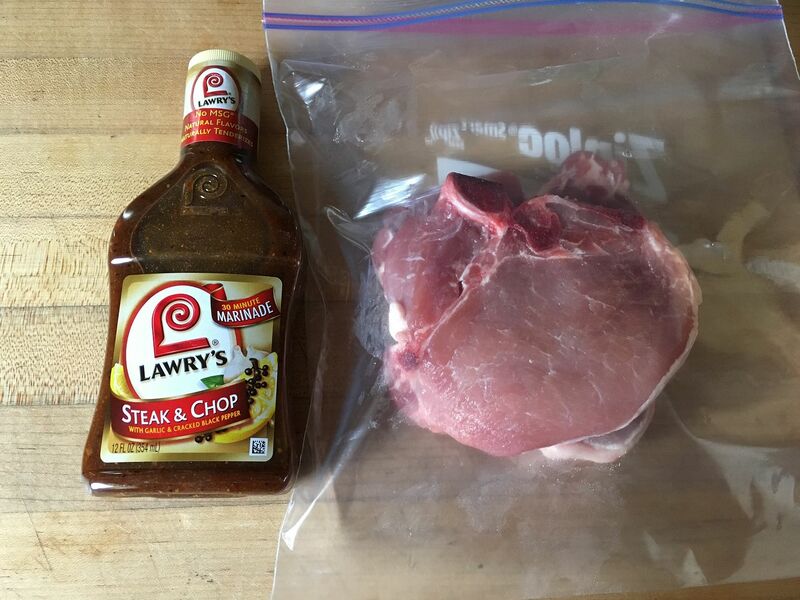 Next, I placed the chops in a plastic bag along with the marinade and let sit in the refrigerator overnight. 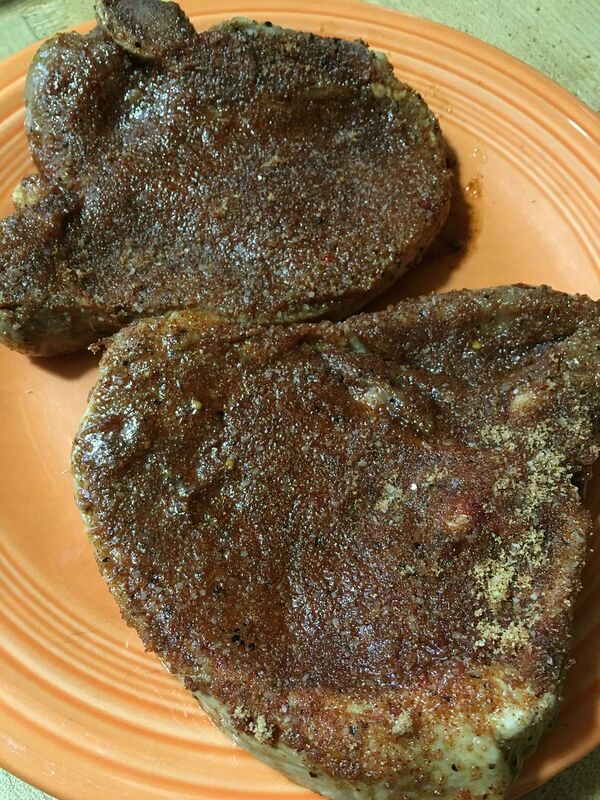 The next day, I removed the chops from the marinade, patted dry, and applied a generous coating of the rub. I let the chops sit at room temperature while I started a chimney of coals and set the grill up for indirect grilling (coals off to one side). Allowing the chops to sit allowed the rub to adhere to the meat, forming a nice coating. Next, I grilled the chops for three minutes a side over direct heat. Then, I moved the chops into the indirect grilling zone and applied a generous coating of the sauce. 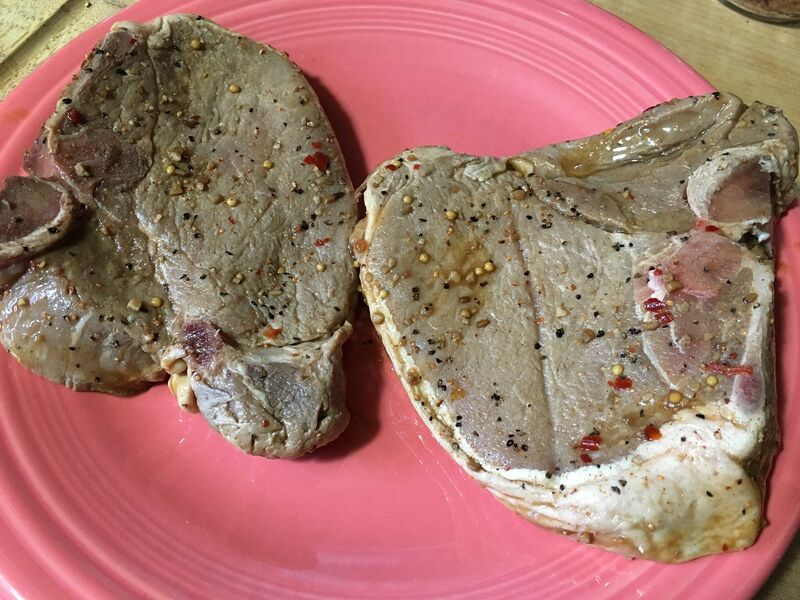 The lid was placed on the grill and the chops checked for temperature after 10 minutes of cooking. The recipe calls for 20 minutes of cooking or until the internal temperature of the meat reaches 145 F. Since I only had thick, single cut chops, I kept a close eye on these chops. After 10 minutes, they were around 130 F, so I applied a second coat of the sauce and covered the grill. After about seven more minutes, I reached my target temperature of 145 F.
We sat down to dinner and dug into these great looking chops. I was wary of how Hope would react as she is not a huge apple butter fan. After about two bites, she declared these chops a success. I would agree. Tender, moist, and juicy, this chop recipe brings a lot of flavor to the table. Count this recipe added to our do over list. I can't wait to try some of the other recipes in this cookbook. Everything looks very good. This cookbook may even motivate me to purchase a meat grinder to make sausage. If anyone out there is looking for a Fathers Day gift for the backyard BBQ enthusiast, this cookbook is just what you are looking for this year.